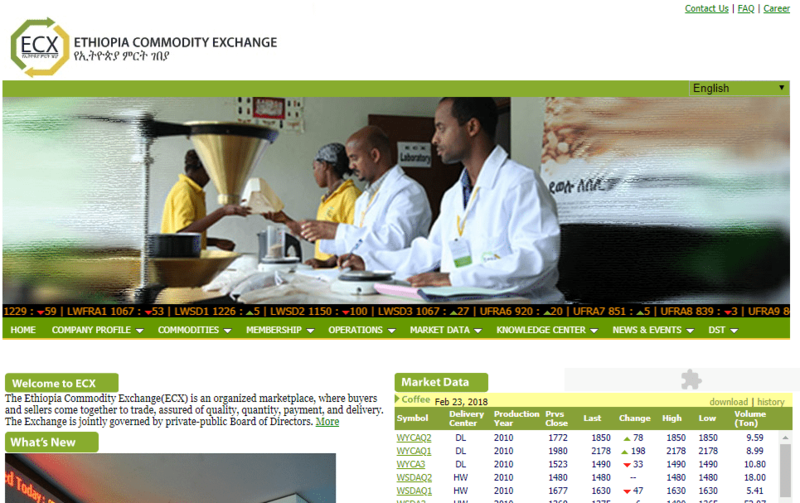 What is the Ethiopia Commodity Exchange? 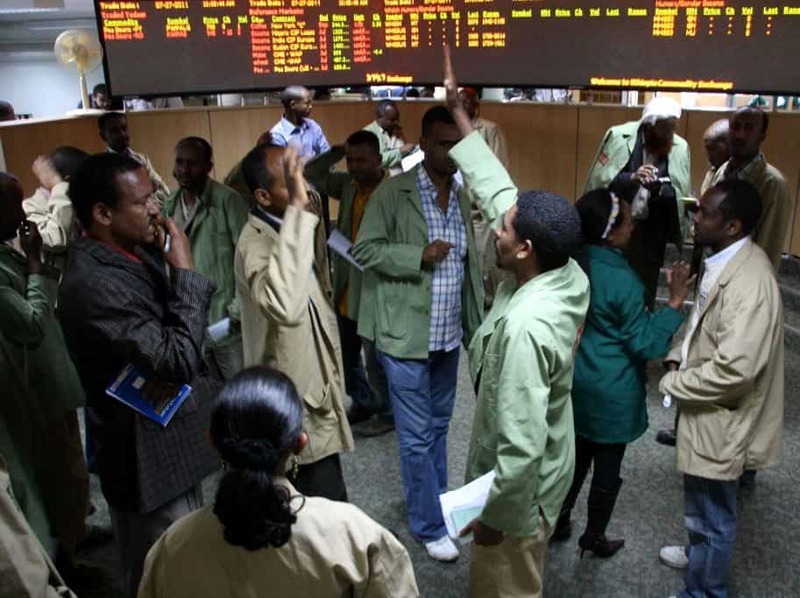 Who Are the Ethiopia Commodity Exchange Executives? What Products Does the Exchange Trade? How Does the Exchange Conduct Trading? When Do Trading Sessions Take Place? What Types of Memberships Does ECX Offer? What Educational Materials Are On Offer? How Can You Get Started Trading? 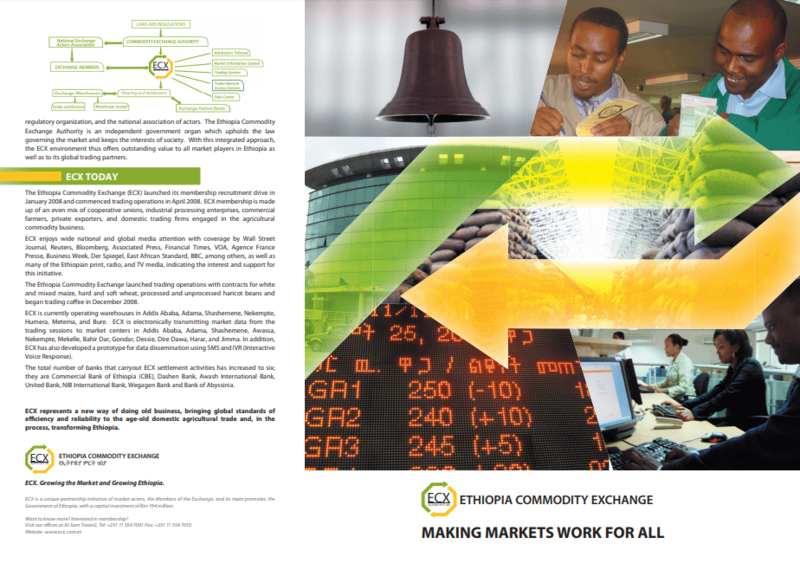 The Ethiopia Commodity Exchange (ECX) is a national multi-commodity exchange in Ethiopia that brings together buyers and sellers of agricultural commodities. To connect all buyers and sellers in an efficient, reliable, and transparent market by harnessing innovation and technology and based on continuous learning, fairness, and commitment to excellence. Central trading system: The commodities trading exchange. Warehouse delivery centers: The sites that receive, sample and grade commodities and maintain their quality. Clearing banks: The institutions responsible for clearing and settling commodities transactions. Arbitration tribunal: The group responsible for facilitating the resolution of disputes between members or members and the exchange. Market information system: The systems that link the exchange with rural sites. Remote trading centers: The hardware that connects the central trading system with outside participants. Secure data center: The systems that manage membership and market information. The Ethiopian government, which is the main promoter of ECX, has created a legal framework and a government regulatory agency to ensure the success of ECX. Population and demographic trends bode well for the future of exchanges such as the ECX. The United Nations estimates that, by 2050, the global population will grow by 2.2 billion, and 1.3 billion of those people will reside on the continent of Africa. Dynamic marketplaces such as the ECX will play a critical role in bringing food to this growing population center. The ECX was established in 2008, which makes it one of the newest global commodity exchanges. It was organized as a private company, but the ownership consists of market actors, exchange members and the Ethiopian government. To ensure the development of an efficient modern trading system [that would] protect the rights and benefits of sellers, buyers, intermediaries, and the general public. The driving force behind the creation of ECX was its former CEO, Ethiopian economist Eleni Zaude Gabre-Madhin. Prior to the formation of the ECX, Gabre-Madhin worked as a researcher for the International Food Policy Research Institute (IFRI), where she studied agricultural markets in Ethiopia. She noticed that the crop marketplaces in the country were volatile and uneven. Some regions had bumper crops one year followed by drought and famine the next. Gabre-Madhin surveyed grain traders in 2002 and learned that many of them lacked key infrastructure and resources such as access to credit, market information, transportation, the ability to enforce contracts and other key items. Essentially, prior to ECX, the Ethiopian commodities markets were not operating in an efficient manner. In 2004, Gabre-Madhani launched an IFRI program to help the Ethiopian government improve agriculture and market policies. These efforts culminated in her forming an advisory board to develop plans for creating ECX. The creation of ECX was a logical and necessary step in the development of African agriculture. At the time of its founding, Ethiopia’s share of cereal grain production was growing, and the only other viable commodities exchange in Africa was in South Africa. The ECX is a demutualized corporate entity. This means that rather than being owned by members, the exchange is owned by shareholders that are not members. The ECX establishes clear separation of ownership, membership, and management. Owners cannot have trading memberships, members cannot have an ownership stake and the management can’t be either owners or members. The management team of the ECX has undergone massive reform in recent months. This has led to the appointment of an interim CEO and naming of a new permanent CEO. Including the interim CEO, ECX has a management team consisting of six key executives. Wondimagegnehu Negera CEO Negera is the former CEO of Cooperative Bank of Oromia. He has more than two decades of experience in the banking industry and previously served as the head of Oromia State Trade & Market Development Bureau. Belay Gorfu Deputy and Interim CEO Gorfu’s prior experience includes serving as Vice President of Finance, Director of Office of Strategy Management, Manager of Corporate Communications and Advisor to the President with the Commercial Bank of Ethiopia and Purchasing Supervisor with the Ethiopian Electric Power Corporation. Behailu Nigussie Chief Operating Officer Nigussie is responsible for providing strategic leadership to the Operation Division including Trading Operation and Clearing and Settlement. He has over 13 years of experience in business operations. Niguessie also has financial services industry related to domestic banking and ECX operations. Abenet Bekele Chief Planning and Change Management Officer Bekele is responsible for Strategy Planning, Member Development, Product Development and Member Client Relations. Has more than 14 years of experience in Hospitality Financial Management, Commodity Trading Management and Strategic Planning. Tedla Kebede Chief Information Officer (CIO) Kebede is responsible for setting the overall IT strategy for ECX and implementation of IT solutions. He has over 13 years of experience related to information technology. Shimelis Habtewold Chief Compliance Officer Habtewold is responsible for the overall compliance management of the Exchange. His responsibilities include formulating and amending the Rules of the Exchange, ensuring Member and Exchange compliance with applicable Rules and Regulations, and liaising regulatory bodies. He has over 17 years of experience in law enforcement, drafting legal documents and compliance matters in Ethiopia. The proclamation that established the ECX (No. 550 / 2007) mandates the ECX to set out its own rules for self-governance of its various operations. At the same time, proclamation No. 551 / 2007 established an outside regulatory body for the ECX – the Ethiopia Commodity Exchange Authority (ECEA). The Rules of the Exchange developed by ECX list the regulations governing membership, management, trading, warehousing, clearing and settlement, and other operations of ECX. The rules also cover the conduct of its members. The ECX has careful procedures for monitoring and tracking the performance of its members and their behavior with clients in the market. ECX compliance rules are consistent with global best practices. Experts regularly conduct trends on market surveillance and audits and investigations on market operations. These practices are designed to protect the market from manipulation, excessive speculation, fraud or other malpractice. ECEA also has the authority to investigate wrongdoing and adjudicate complaints falling under its jurisdiction. ECEA can, when appropriate, refer criminal cases to the appropriate court. As part of its oversight, ECEA issues directives regarding its activities. Coffee is the major export crop cultivated in Ethiopia. Ethiopia is the largest coffee producer and exporter in Africa. Sesame (Sesamum indicum L.) is one of the oldest cultivated plants in the world. Ethiopia is a major exporter of the crop. Open Outcry Haricot bean is a major food crop in the southern and eastern parts of Ethiopia. 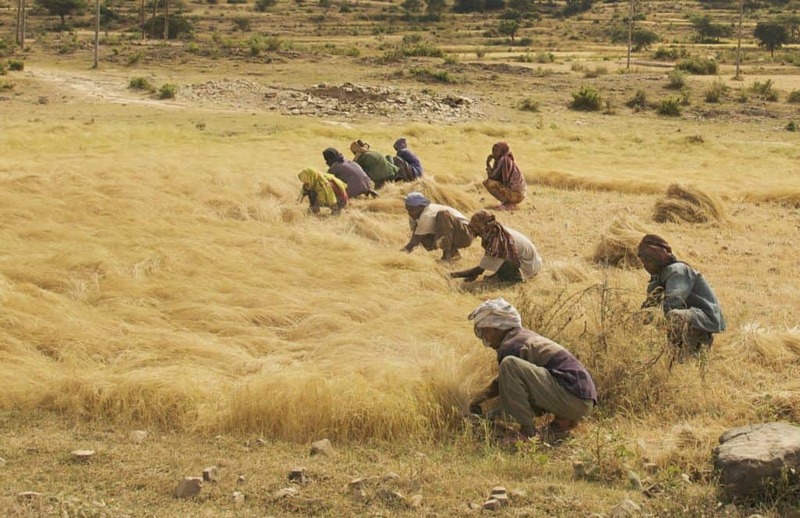 Wheat accounts for 17.5% of major crops production in Ethiopia (including oilseeds and pulses). The major types of wheat grown in Ethiopia consist of: bread wheat, durum wheat (used for pasta) and emmer wheat (also known as farro). The ECX is a spot exchange, which means the participants settle prices and delivery “on the spot,” or immediately. Traders and their representatives trade more than 200 spot contracts on the ECX. The ECX has an octagonal trading pit where trading takes place via “open outcry.” In this method of trading, a trader announces his/her intention to buy (bid) or sell (offer) a particular contract and the quantity he/she wants to buy and price he/she is willing to pay. Other market participants can make a counter bid or offer or accept the terms offered by the trader. Traders on the ECX use hand signals to convey their intentions. A trader first announces the commodity and then the quantity. If the trader wishes to buy the commodity, the trader turns the palm of his/her hand toward his/her face. If the trader wishes to sell the commodity, the trader turns his/her palm away from the face. The combination of hand signals and vocalization creates a system for communicating between traders. What is the Trading System Used? ECX traders record their orders on order tickets. The tickets list the lot size and the grade of the commodity being traded. An electronic back office system checks to ensure that the buyer has the requisite funds to enter the transaction and the seller has the commodity available in a warehouse to back the sale. The automated reconciliation process takes place in just minutes. How Are Trades Cleared and Settled? The ECX Clearing and Settlement Department acts a central counterparty to all trades that take place on the exchange. The department determines the net obligations of each member, informs the members of their daily net obligations and transfers cash funds and commodity ownership among members. Construction & Business Bank S.C. Cooperative Bank of Oromia S.C.
Full Memberships: These are permanent and freely transferable. Full members can trade in any commodity. Limited Memberships: These are designed for smaller market participants. Membership seats are limited to one year and trading in only one commodity. In addition, limited members may only trade on one side of the market (either buy OR sell a particular commodity). According to the ECX website, full memberships are currently closed until further notice. Non-member clients that wish to trade on the ECX can do so by engaging an IM. Clients can buy or sell any of the products traded on the exchange. In addition, clients can appeal to the Arbitration Tribunal to adjudicate any disputes that occur between the client and the exchange. Prospective members can obtain applications online or by contacting the exchange by telephone, email or fax. They can learn more about the requirements for becoming a member, including certifications, by consulting the ECX website. The proclamation that established the ECX (No. 550 / 2007) grants powers to the exchange to establish and maintain margin requirements for members and to set temporary emergency margin levels on any contract. Traders should contact the ECX for more details about the margin requirements for trading contracts on the exchange. ECX charges different levels of fees for different categories of membership. In addition, the exchange levies annual membership maintenance fees, storage and handling fees for warehousing, contract fees, minimum and maximum trading fees and clearing fees. Traders should consult the ECX the Rules of the Exchange for a specific accounting of these fees and charges. Electronic Tickers: ECX has 200 market sites across the country for disseminating information. Mobile Phone Short Messaging Service (SMS): ECX utilizes Ethiopia’s mobile phone service provider to disseminate market information via text. Interactive Voice Response (IVR) service: This fully-automated telephone system allows traders to access market information 24 hours a day, 7 days a week. 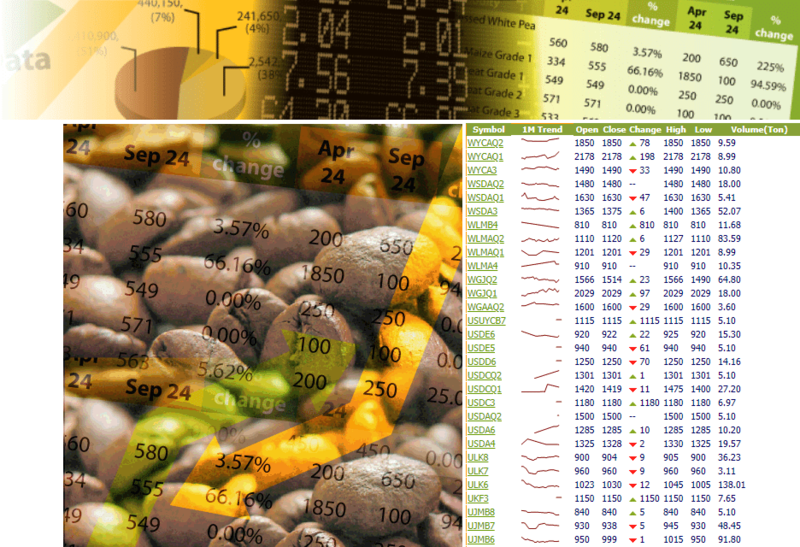 Website: The ECX website provides real-time data for all commodities traded. Bulletins: These provide market commentary to traders. Mass media (e.g., radio, TV, print): ECX disseminates information in Amharic, Oromifa, Somali and English language using mass media. Information Center: This is part of the ECX Market Intelligence products described below. Market Bulletin: This is a bulletin that includes a comparison of local prices with international market prices. The bulletin also offers analysis including graphs, commentary and research on international commodities markets. Market Hotline: ECX has a dedicated phone line for disseminating real-time market information and updated international market prices. Info Center: This service provides market information such as daily domestic and international prices, market trends, production and weather forecast and market-related news and events. Brochure: This short marketing brochure covers the ECX and its advantages for market participants. Newsletters: This is an archived collection of the monthly newspaper issued by ECX. It covers market trends and has sections devoted to explaining how trading takes place in markets. Briefs: These are a series of academically-oriented articles on commodities trading and markets. Articles: These are a series of more general educational articles and presentations on commodities markets and trading. Many regulated brokerage firms offer contracts for difference (CFDs) based on agricultural products traded on the ECX. CFDs are a derivative instrument that offers retail traders a different way to invest in agricultural and other commodities. CFDs allow traders to use leverage to bet on the price of commodities. The value of a CFD is the difference between the price of a commodity at the time of its purchase and its current price. Some regulated brokers worldwide offer CFDs on maize, wheat, beans, coffee and other agricultural products. Customers deposit funds with the broker, which serve as margin. The advantage of CFDs is that trader can have exposure to commodities without having to purchase shares, ETFs, futures or options and without having to be a member of an exchange. Traders can open an account at one of these regulated brokerage firms and begin trading CFDs based on ECX products.